Please help me pray for the complete healing of Patrick's cancer of the vocal cord. On October 5th Patrick will undergo biopsy of his right vocal cord (which was removed last November 2010) hopefully he will have a negative result of the biopsy. Help us pray for a continous healing and a cancer free for him. Pray for his biopsy. Thank you very much for praying. 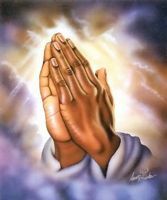 Rest assured that I will be with you prayer warriors to help pray for our brothers and sisters in Christ.